I'm sure at one stage in almost everybody's lives, they've been forced to confront a person about something that's been said or been done to a loved one. There's that moment when you become overly protective about that person - insulted and almost taken back that somebody else could possibly want to hurt them. How dare they? The fists come up, the fire blazes behind your eyes and you're ready to divide and conquer. 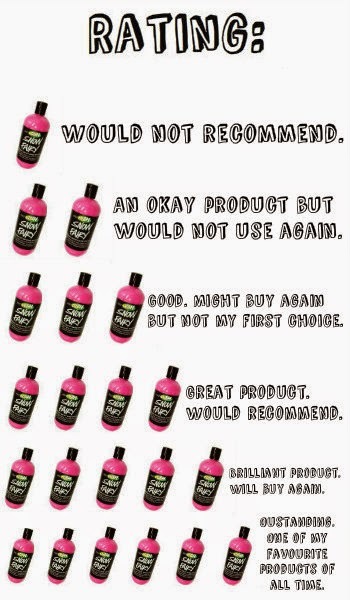 That's exactly how I initially felt about the revamp of the Karma Bubble Bar - why would Lush even consider tampering with something so perfect? What could they possibly hope to achieve from such travesties? Little did I know that I was once again showing a lack of faith in a company that usually prove to know what's best. In this case, I was once again floored. For those who have yet to experience anything Karma, it is without a doubt one of Lush's greatest achievements - a fragrance that is so well crafted that it's difficult to understand why it hasn't won awards for how incredible it really is. It's one that I often take for granted and forget about for a few months, only to fall head over heels in love with it all over again when I dig it once more. Made from a combination of six key oils; patchouli, sweet orange, lavender pine, lemongrass and elemi, this scent offers a little of everything. It has the citrus element of the orange, the spicy, exotic note from the patchouli and the subtle herbal components of both the lavender and pine. The scent is both sweet and citrusy, and reminds me of those old-fashioned cola bottle sweets you used to get when you were little. Yet it is somehow quite a mature smelling fragrance, and one that wouldn't go amiss on people of all ages. 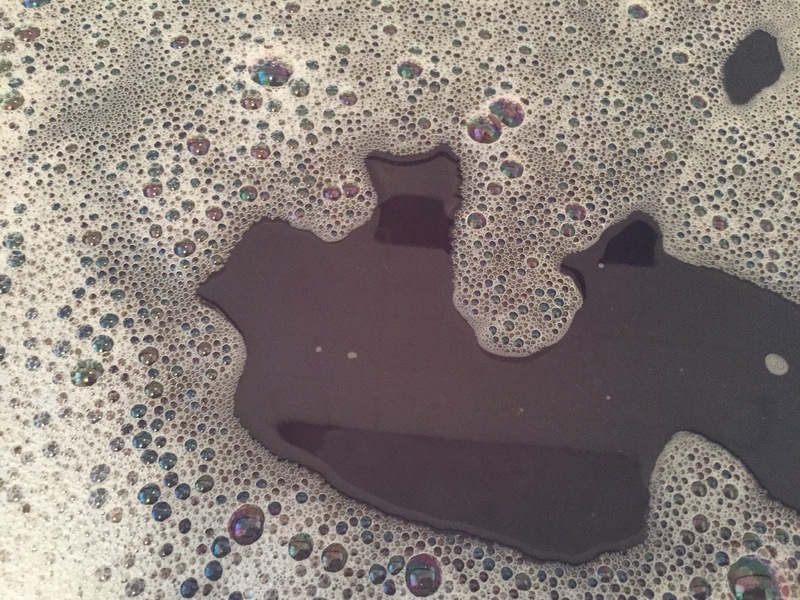 While I couldn't imagine how the original bubble bar could be improved upon, I was blown away when I first saw the new design on the shelf. 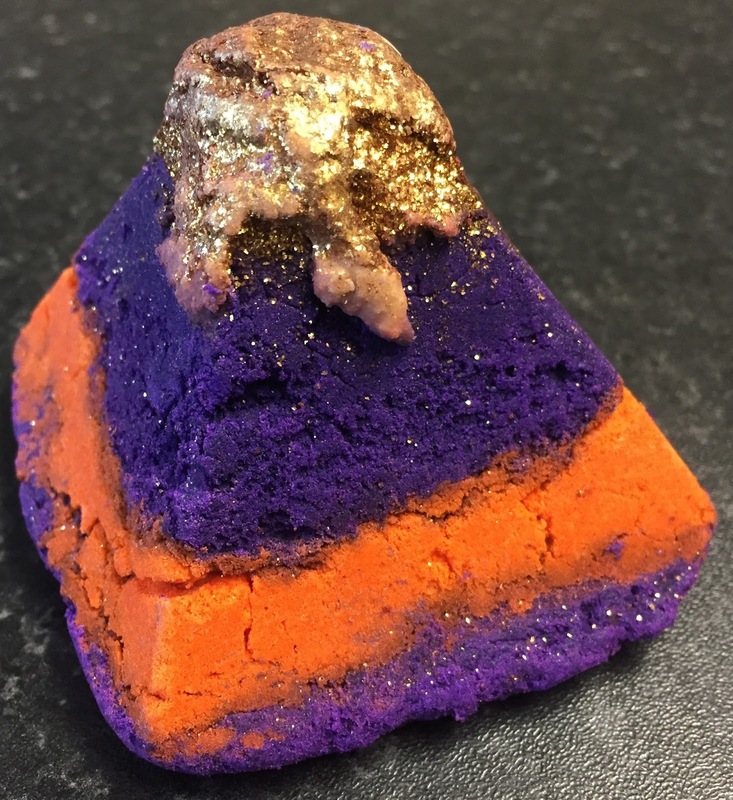 Carved into a pyramid shape, this product is as stunning in real life as it looks in the pictures - a bubble bar that revamps the excitement back into a product that may have been lost behind all of the promising new bath products coming out. 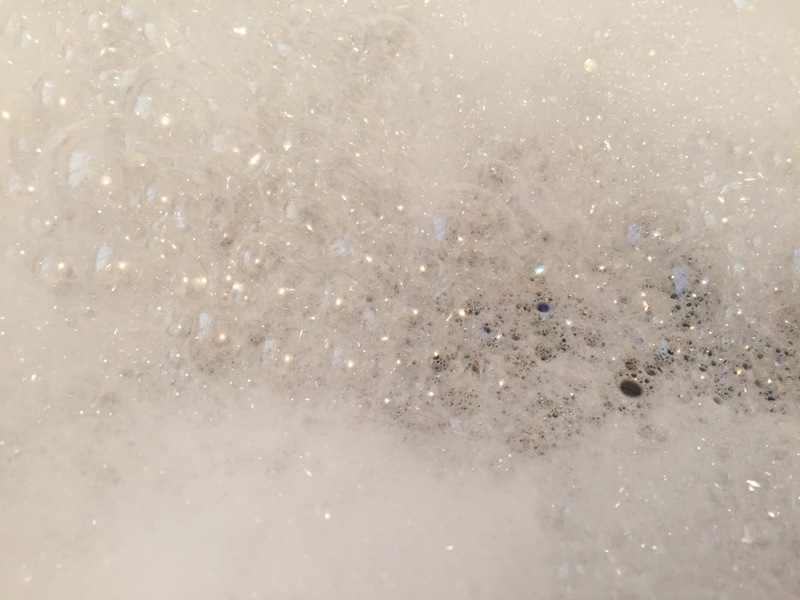 This revamped design is much bigger than the original bar and is topped with a glittery melt that helps to make the water in the tub even softer and more nourishing on the skin. 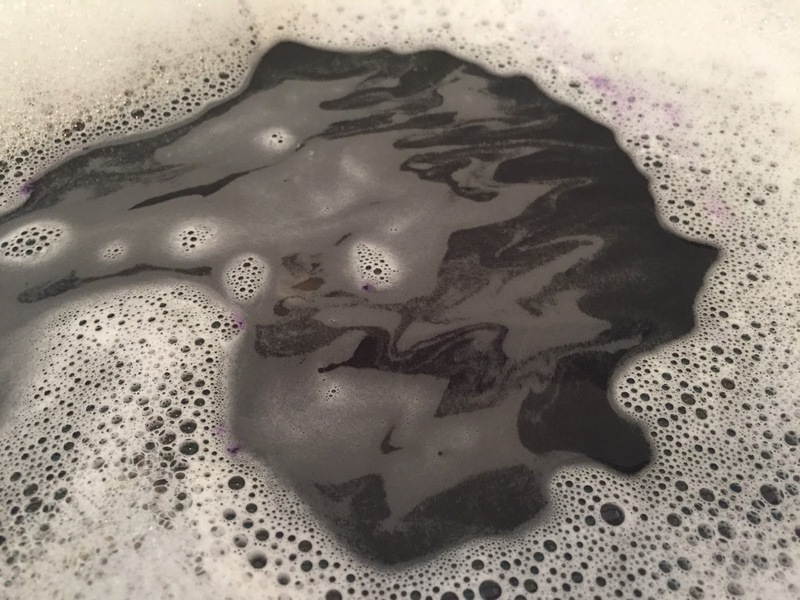 Furthermore, the new Karma turns the water into a stunning deep purple colour that sparkles in the light due to the inclusion of the golden lustre. 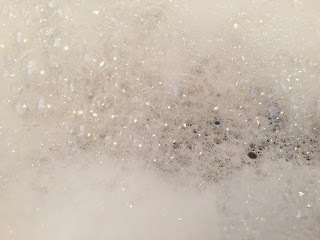 Although glitter-phobes may dislike the new model due to the addition of this glitter, I can assure you that it does not stick to the skin and washes away with ease afterwards. 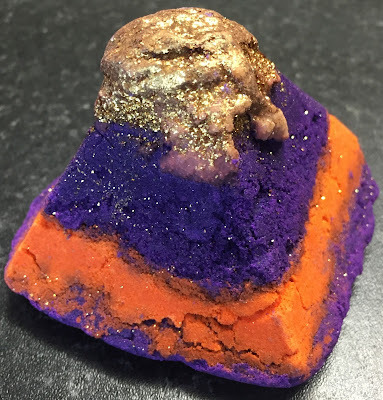 While I was initially opposed to the new colour scheme as I thought Karma was much more of a brighter fragrance, and so suited the colours of the original design, once I was in the tub, soaking up the sweet, zesty and slightly spicy goodness of the product, I realised that the new colour still gave me that lovely warming feeling that I appreciate and love dearly. 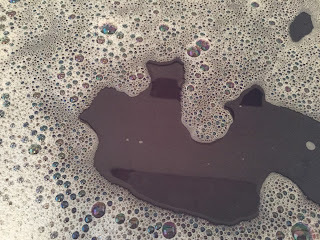 Much like the original, this bar yields amazing results; a bath that is full of scented bubbles that leave your skin super soft and invigorated. The water feels really gentle when you first climb into the tub and this only helps to moisturise and nourish your skin, leaving it wonderfully soft. 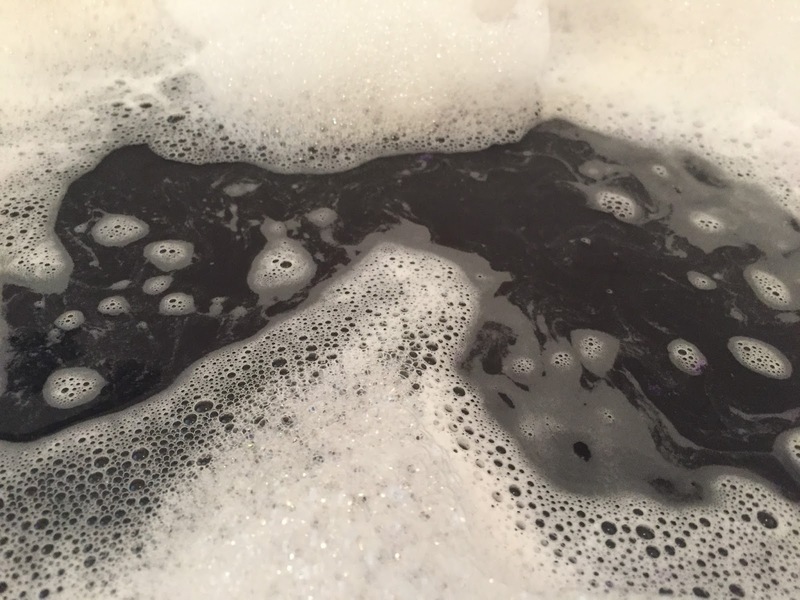 This is definitely one of my top five bubble bars from Lush, and while I initially had my cuffs up ready for a fight, I'll relent in saying that Lush have once again outdone themselves. If you can get your hands on one of these, I would highly recommend it, and if you can't, it's probably because I've bought them all for myself! Quantiative Ingredients: Sodium Bicarbonate, Cream of Tartar (Potassium bitartrate), Sodium Laureth Sulfate, Fair Trade Cocoa Butter (Theobroma cacao), Citric Acid, Laureth 4, Lauryl Betaine, Perfume, Patchouli Oil (Pogostemon cablin), Sweet Orange Oil (Citrus sinensis), Lavandin Oil (Lavandula hybrida), Pine Oil (Pinus sylvestris), Lemongrass Oil (Cymbopogon citratus), Elemi Oil (Canarium commune), Mango Butter (Mangifera indica), Organic Extra Virgin Olive Oil (Olea europaea), Cornflour (Zea mays), Glycerine, Titanium Dioxide, Synthetic Fluorphlogopite, Tin Oxide, Citral, Geraniol, Citronellol, Limonene, Linalool, Copper Sheen and Deep Purple Lustre, Colour 15985. Year Of Original Release: 2015. I love that this person comes to the site daily to make fun of you. Yet, if the blog is monetized then they're actually doing you a favor. Just to let you know Jen, a couple of your blog posts from a few days ago disappeared. It was the happy pill and something else, can't exactly remember what. But they've totally vanished from your blog for me! Wow that looks so unusual! Don't ever stop, Jen. I love your blog more than I love LUSH, which is a crazy lot! I think your vlogs are great too, so don't under-sell your abilities. Reading your latest review picks me up on the way home from work. You rock! Thank you so much - that means the world to me! I'm so glad I have such a positive effect on you and I just hope I don't make you spend too much of your money! I was struggling with ordering these from the Kitchen or just waiting for them to come to the US and then I read your post about it and decided to just go for it. So excited! Anyway, keep up the good work and know you're extremely appreciated and I visit your blog for reference almost every day! You really are a lushie's savior! Well I got two recently-ish the last time they appeared and I love. Probably won't go for the current bubble bar as I way prefer purple over yellow or orange in the bath. 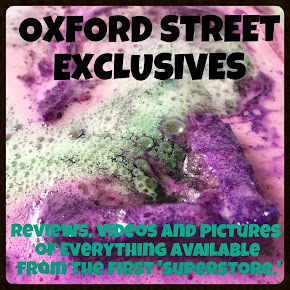 Ask Me A Question About Lush! Copyright Jen Wright 2014. Powered by Blogger.